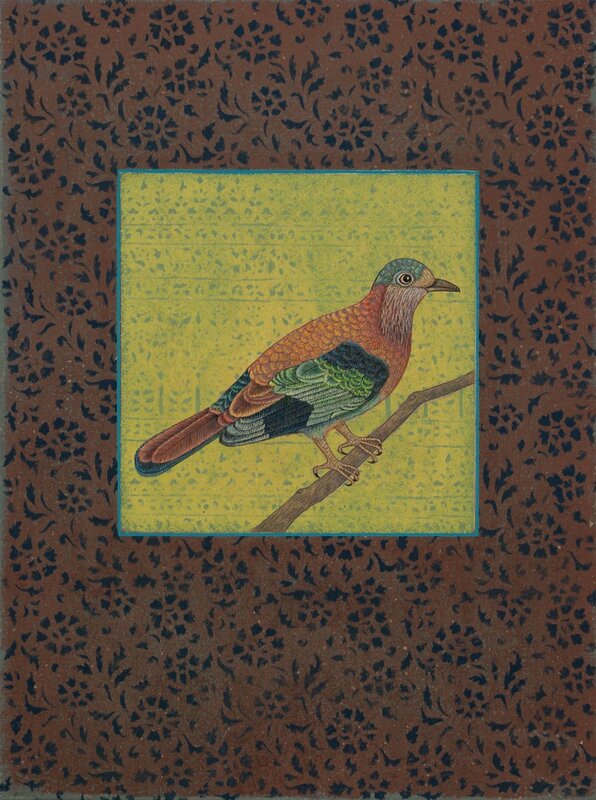 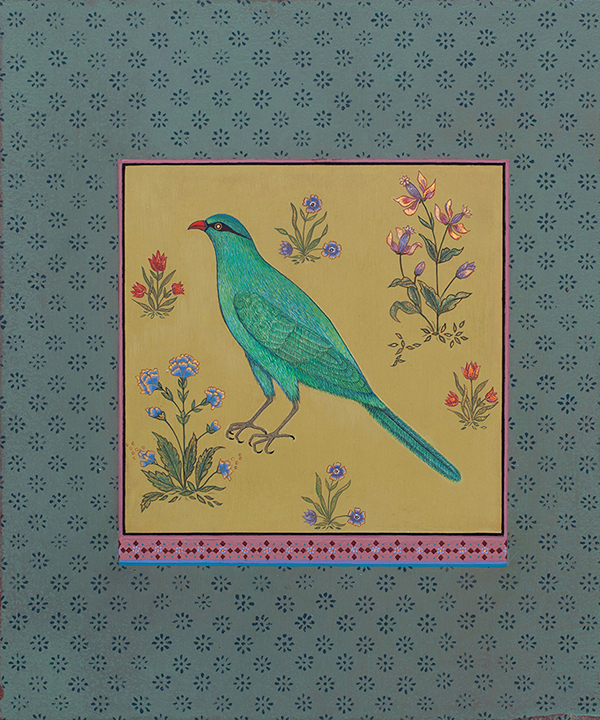 In these Rare Bird Paintings Antonia Munroe is inspired by the 16th and 17th century Mughal artists who began to record the natural world with a focus on scientific observation. 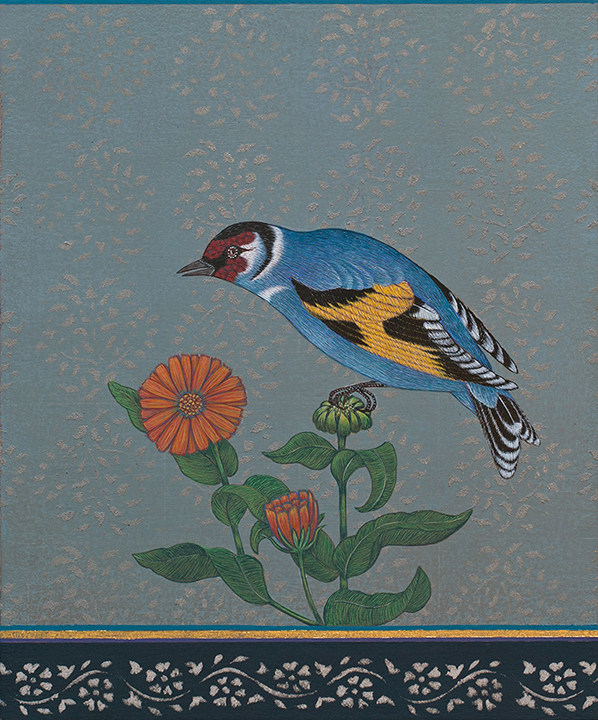 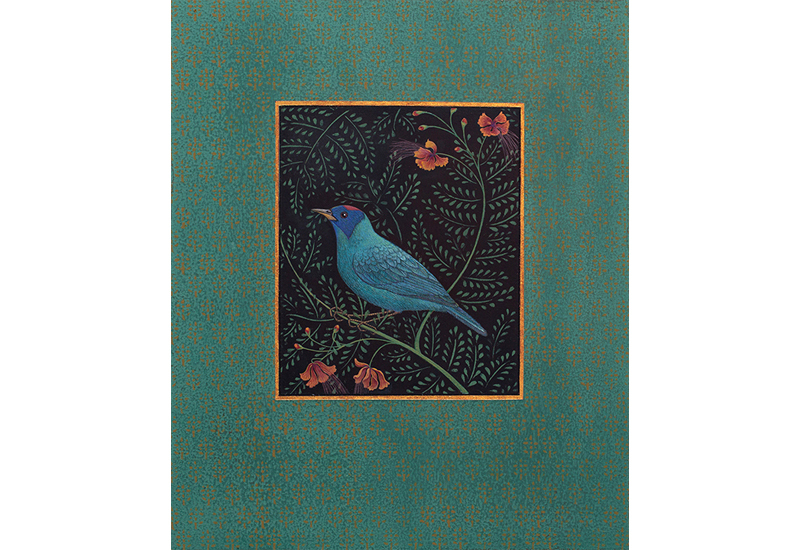 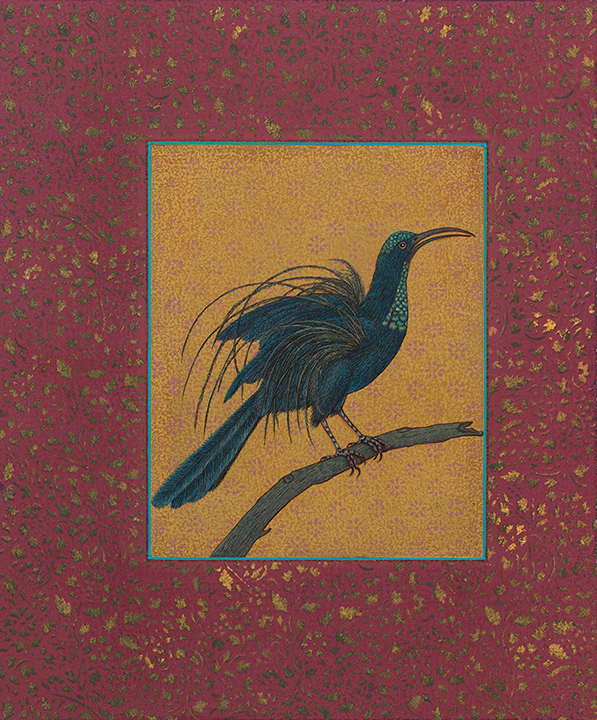 Having studied Indian miniature painting in Rajasthan, Munroe remains faithful to the traditional techniques used by these artists; binding ground pure pigment and making brushes from the underside hair of a squirrel’s tail, to paint the minuscule feathers in her homage to Indian bird life. 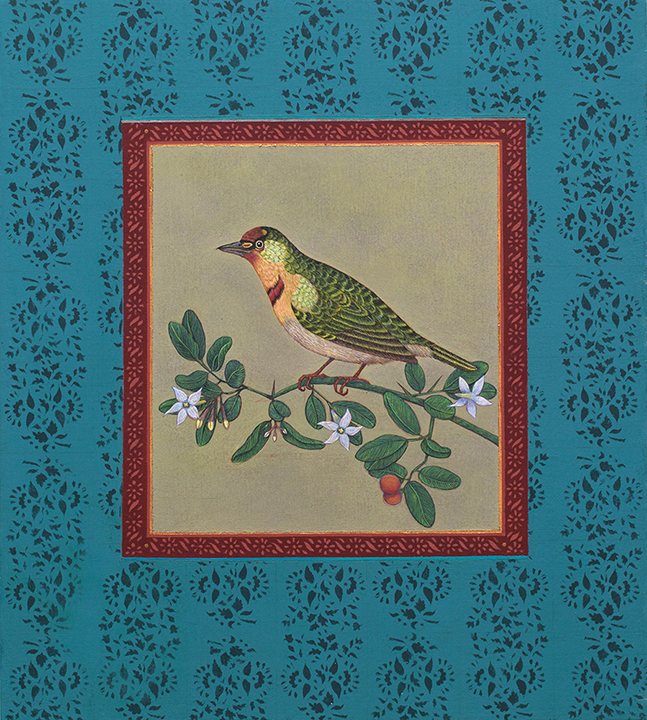 Munroe’s enduring fascination with bloc-printed textiles inspire her original stenciled designs which illuminate the borders and backgrounds.